Salerno is a large city on the eastern end of the Amalfi Coast Highway. It is known for its history in medicine and it is the location of the Allied invasion on Mussolini in WW2. 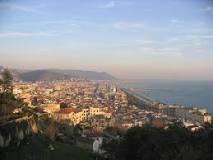 Today Salerno is a modern city with fast trains south to Sicily and north to Naples, Rome and all of Europe. The A3 Autostrada runs through it on its way to the ferry docks to Sicily. Salerno boasts a major port. During the Christmas Holidays, it has a magnificent light display done by local artists. 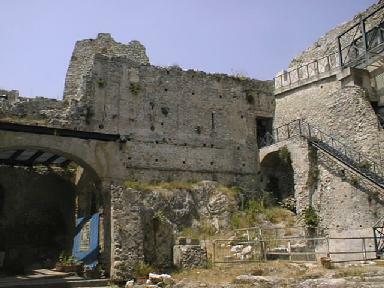 The Salerno tourists guide gives a lot of information on this beautiful city. Castello di Arechi (a hilltop castle) is worth a trip to. It is nearly 1,000 feet above sea level and dominates the city view. The walk up this mountain is very strenuous. You can take public transportation or drive and park at the castle. The other major attraction is the Salerno Cathedral with its beautiful bell tower designed by Ferdinando San Felice. Head to Lungomare Trieste, the city’s promenade and stroll this tree-lined street. Here is a great place to people watch and enjoy the spirit of Salerno. Monday we will look at some smaller towns along the Amalfi Coast Highway.